Accurate detection of the myocardial infarction (MI) area is crucial for early diagnosis planning and follow-up management. In this study, we propose an end-to-end deep-learning algorithm framework (OF-RNN ) to accurately detect the MI area at the pixel level. 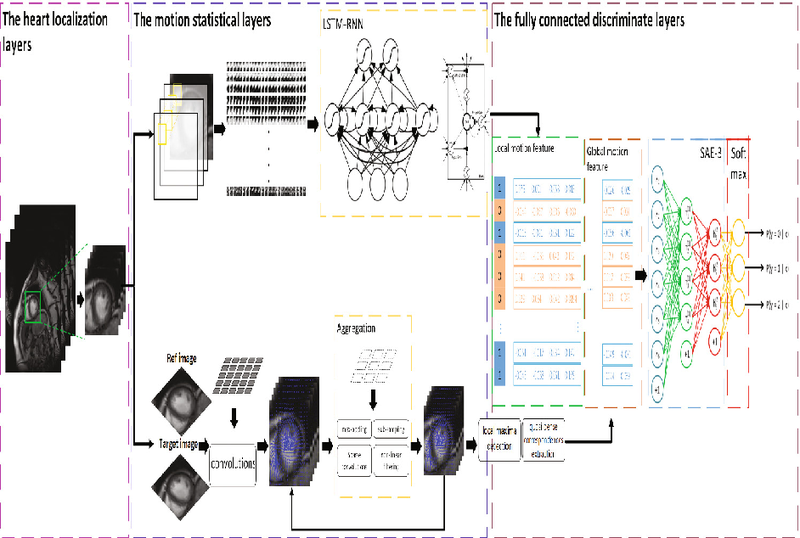 Our OF-RNN consists of three different function layers: the heart localization layers, which can accurately and automatically crop the region-of-interest (ROI) sequences, including the left ventricle, using the whole cardiac magnetic resonance image sequences; the motion statistical layers, which are used to build a time-series architecture to capture two types of motion features (at the pixel-level) by integrating the local motion features generated by long short-term memory-recurrent neural networks and the global motion features generated by deep optical flows from the whole ROI sequence, which can effectively characterize myocardial physiologic function; and the fully connected discriminate layers, which use stacked auto-encoders to further learn these features, and they use a softmax classifier to build the correspondences from the motion features to the tissue identities (infarction or not) for each pixel. 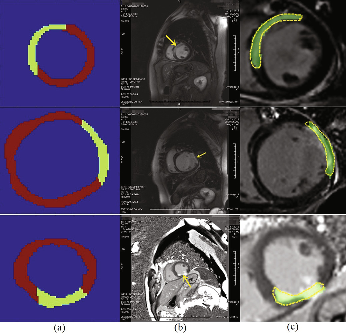 Through the seamless connection of each layer, our OF-RNN can obtain the area, position, and shape of the MI for each patient. Our proposed framework yielded an overall classification accuracy of 94.35% at the pixel level, from 114 clinical subjects. These results indicate the potential of our proposed method in aiding standardized MI assessments. 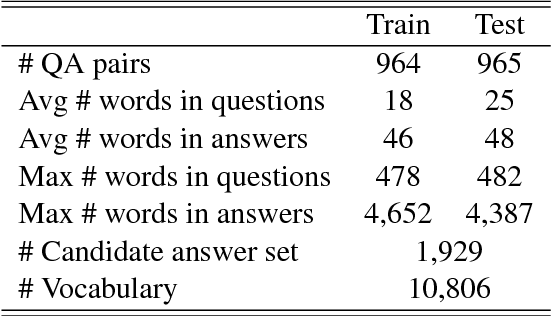 Deep learning based natural language processing model is proven powerful, but need large-scale dataset. Due to the significant gap between the real-world tasks and existing Chinese corpus, in this paper, we introduce a large-scale corpus of informal Chinese. This corpus contains around 37 million book reviews and 50 thousand netizen's comments to the news. We explore the informal words frequencies of the corpus and show the difference between our corpus and the existing ones. 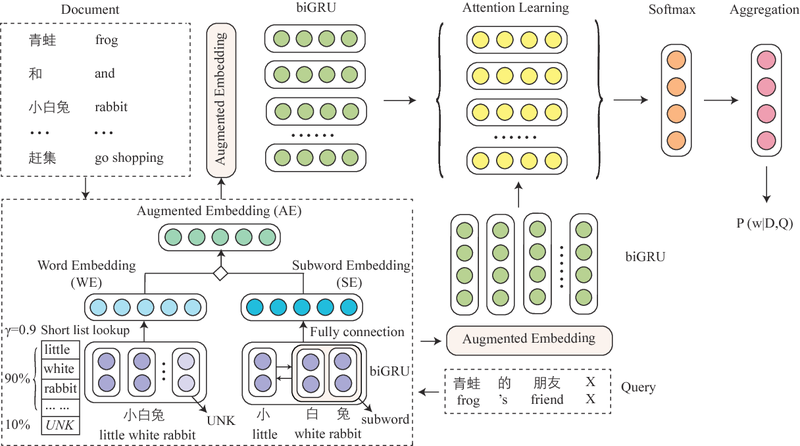 The corpus can be further used to train deep learning based natural language processing tasks such as Chinese word segmentation, sentiment analysis. Developing an automated vehicle, that can handle complicated driving scenarios and appropriately interact with other road users, requires the ability to semantically learn and understand driving environment, oftentimes, based on analyzing massive amounts of naturalistic driving data. An important paradigm that allows automated vehicles to both learn from human drivers and gain insights is understanding the principal compositions of the entire traffic, termed as traffic primitives. 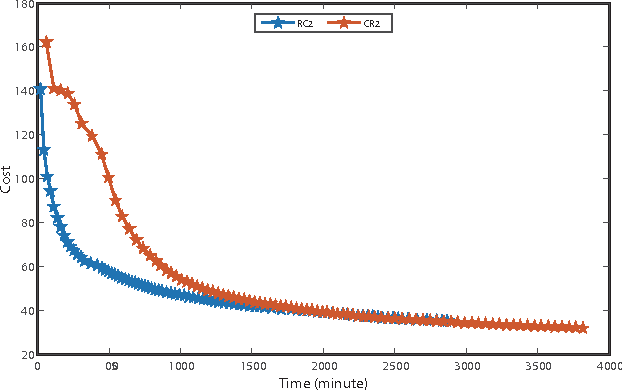 However, the exploding data growth presents a great challenge in extracting primitives from high-dimensional time-series traffic data with various types of road users engaged. Therefore, automatically extracting primitives is becoming one of the cost-efficient ways to help autonomous vehicles understand and predict the complex traffic scenarios. In addition, the extracted primitives from raw data should 1) be appropriate for automated driving applications and also 2) be easily used to generate new traffic scenarios. However, existing literature does not provide a method to automatically learn these primitives from large-scale traffic data. The contribution of this paper has two manifolds. The first one is that we proposed a new framework to generate new traffic scenarios from a handful of limited traffic data. The second one is that we introduce a nonparametric Bayesian learning method -- a sticky hierarchical Dirichlet process hidden Markov model -- to automatically extract primitives from multidimensional traffic data without prior knowledge of the primitive settings. The developed method is then validated using one day of naturalistic driving data. Experiment results show that the nonparametric Bayesian learning method is able to extract primitives from traffic scenarios where both the binary and continuous events coexist. Generating multi-vehicle trajectories from existing limited data can provide rich resources for autonomous vehicle development and testing. 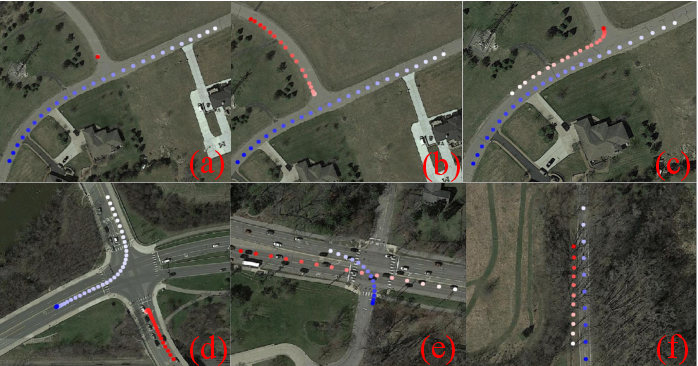 This paper introduces a multi-vehicle trajectory generator (MTG) that can encode multi-vehicle interaction scenarios (called driving encounters) into an interpretable representation from which new driving encounter scenarios are generated by sampling. The MTG consists of a bi-directional encoder and a multi-branch decoder. 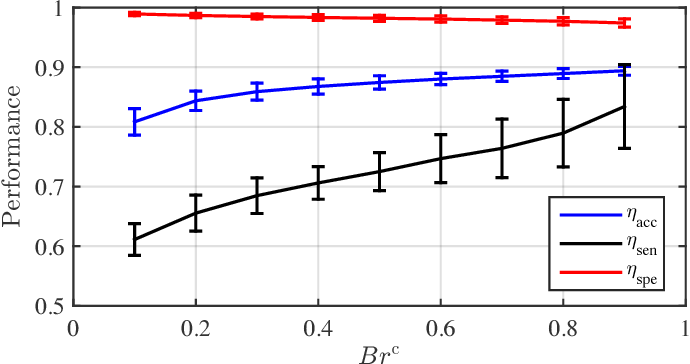 A new disentanglement metric is then developed for model analyses and comparisons in terms of model robustness and the independence of the latent codes. Comparison of our proposed MTG with $\beta$-VAE and InfoGAN demonstrates that the MTG has stronger capability to purposely generate rational vehicle-to-vehicle encounters through operating the disentangled latent codes. Thus the MTG could provide more data for engineers and researchers to develop testing and evaluation scenarios for autonomous vehicles. Generating multi-vehicle trajectories analogous to these in real world can provide reliable and versatile testing scenarios for autonomous vehicle. This paper presents an unsupervised learning framework to achieve this. First, we implement variational autoencoder (VAE) to extract interpretable and controllable representatives of vehicle encounter trajectory. 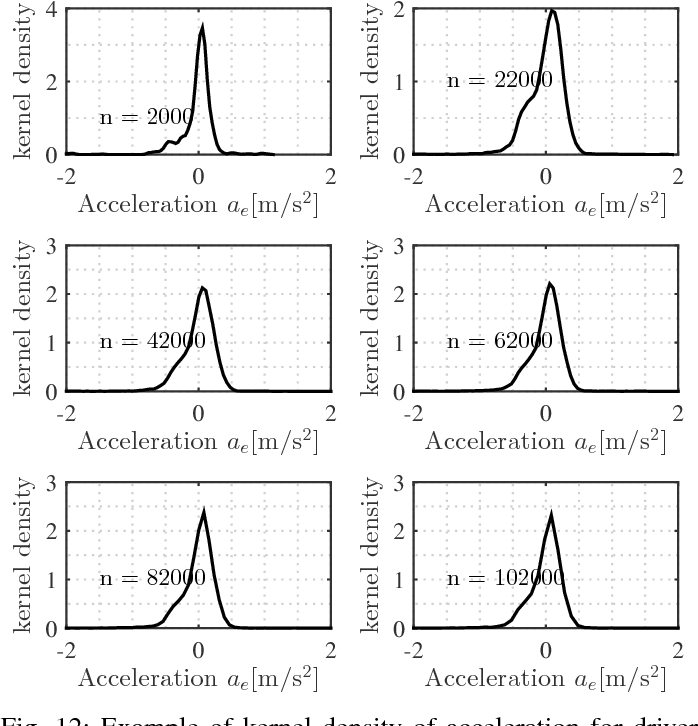 Through sampling from the distribution of these representatives, we are able to generate new meaningful driving encounters with a developed Multi-Vehicle Trajectory Generator (MTG). A new metric is also proposed to comprehensively analyze and compare disentangled models. It can reveal the robustness of models and the dependence among latent codes, thus providing guidance for practical application to improve system performance. 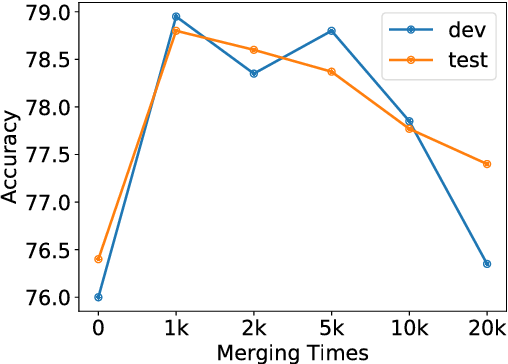 Experimental results demonstrate that our proposed MTG outperforms infoGAN and vanilla VAE in terms of disentangled ability and traffic awareness. These generations can provide abundant and controllable driving scenarios, thus providing testbeds and algorithm design insights for autonomous vehicle development. 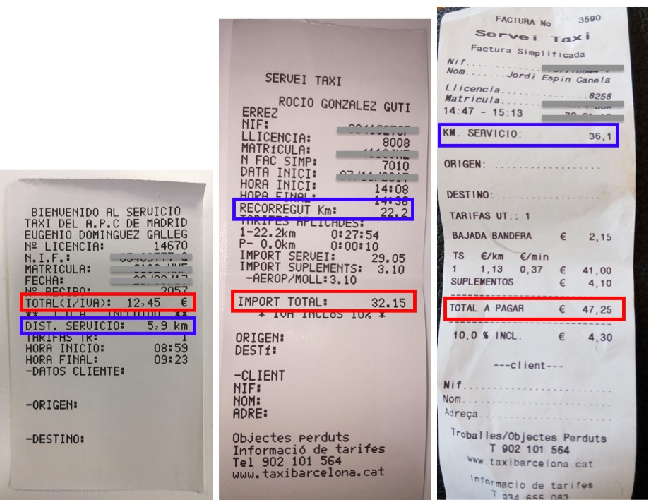 Extracting key information from documents, such as receipts or invoices, and preserving the interested texts to structured data is crucial in the document-intensive streamline processes of office automation in areas that includes but not limited to accounting, financial, and taxation areas. 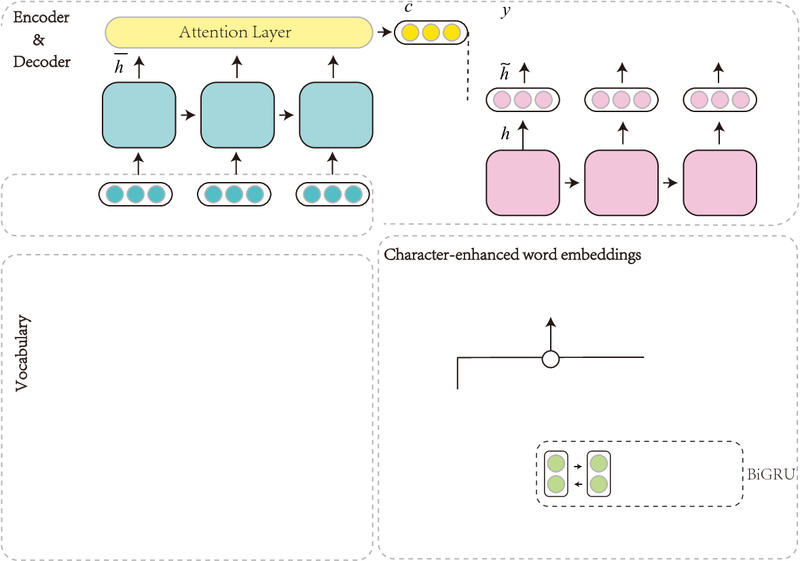 To avoid designing expert rules for each specific type of document, some published works attempt to tackle the problem by learning a model to explore the semantic context in text sequences based on the Named Entity Recognition (NER) method in the NLP field. In this paper, we propose to harness the effective information from both semantic meaning and spatial distribution of texts in documents. 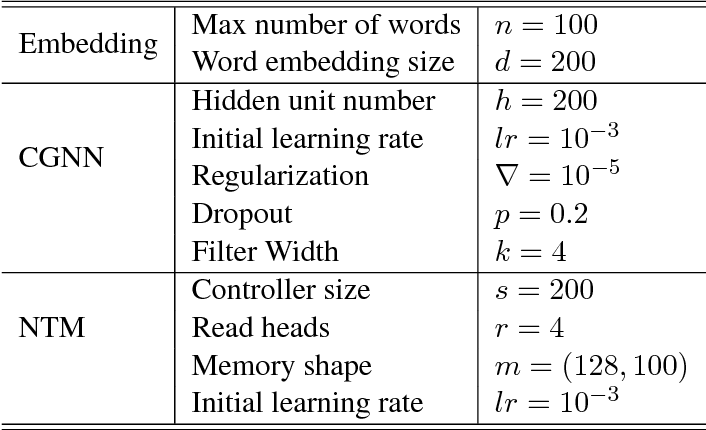 Specifically, our proposed model, Convolutional Universal Text Information Extractor (CUTIE), applies convolutional neural networks on gridded texts where texts are embedded as features with semantical connotations. 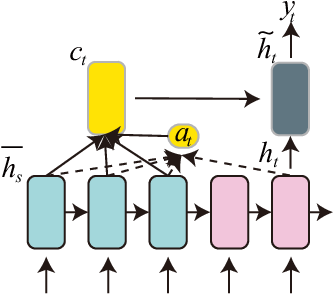 We further explore the effect of employing different structures of convolutional neural network and propose a fast and portable structure. 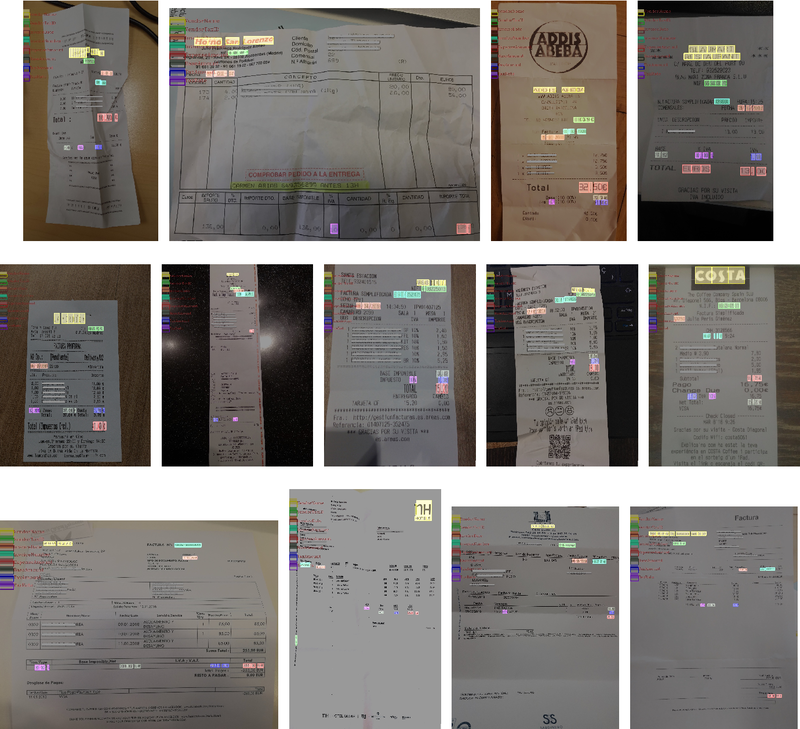 We demonstrate the effectiveness of the proposed method on a dataset with up to $4,484$ labelled receipts, without any pre-training or post-processing, achieving state of the art performance that is much higher than BERT but with only $1/10$ parameters and without requiring the $3,300$M word dataset for pre-training. Experimental results also demonstrate that the CUTIE being able to achieve state of the art performance with much smaller amount of training data. Multi-vehicle interaction behavior classification and analysis offer in-depth knowledge to make an efficient decision for autonomous vehicles. 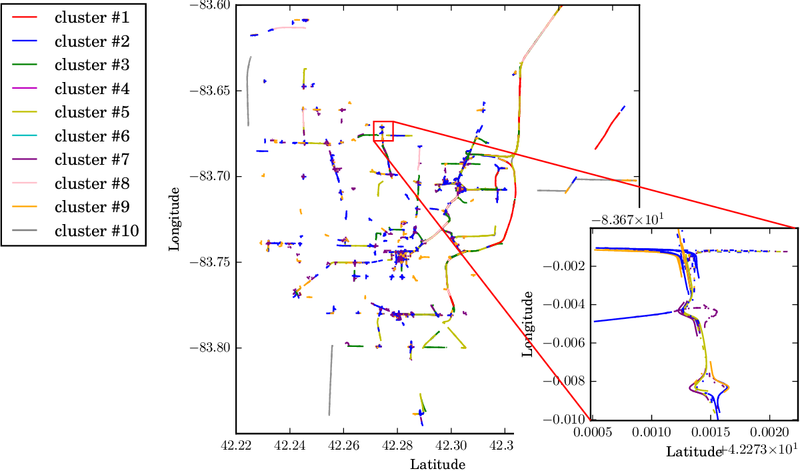 This paper aims to cluster a wide range of driving encounter scenarios based only on multi-vehicle GPS trajectories. 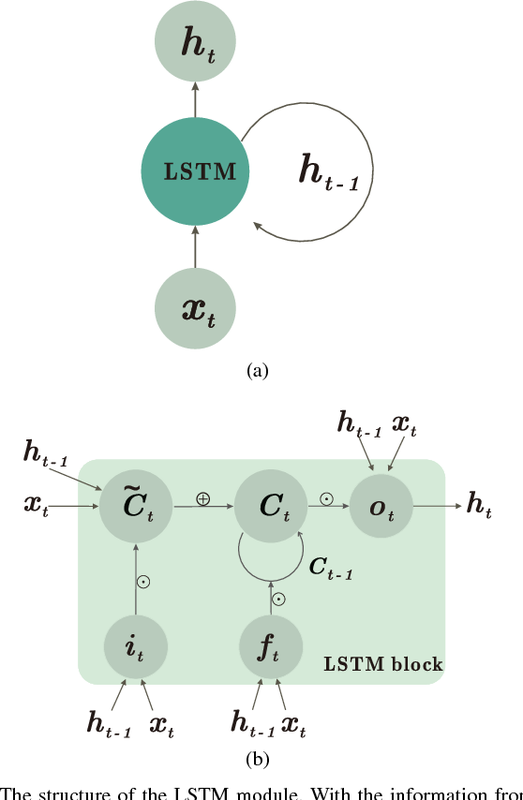 Towards this end, we propose a generic unsupervised learning framework comprising two layers: feature representation layer and clustering layer. 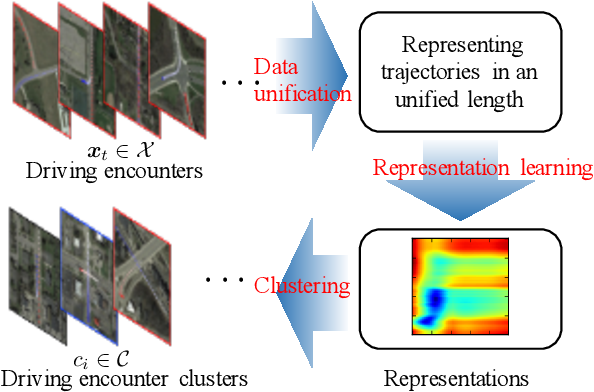 In the layer of feature representation, we combine the deep autoencoders with a distance-based measure to map the sequential observations of driving encounters into a computationally tractable space that allows quantifying the spatiotemporal interaction characteristics of two vehicles. The clustering algorithm is then applied to the extracted representations to gather homogeneous driving encounters into groups. Our proposed generic framework is then evaluated using 2,568 naturalistic driving encounters. Experimental results demonstrate that our proposed generic framework incorporated with unsupervised learning can cluster multi-trajectory data into distinct groups. These clustering results could benefit decision-making policy analysis and design for autonomous vehicles. An adversarial query is an image that has been modified to disrupt content-based image retrieval (CBIR), while appearing nearly untouched to the human eye. 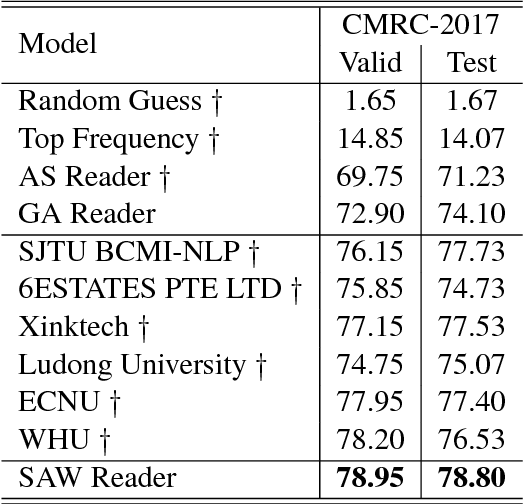 This paper presents an analysis of adversarial queries for CBIR based on neural, local, and global features. 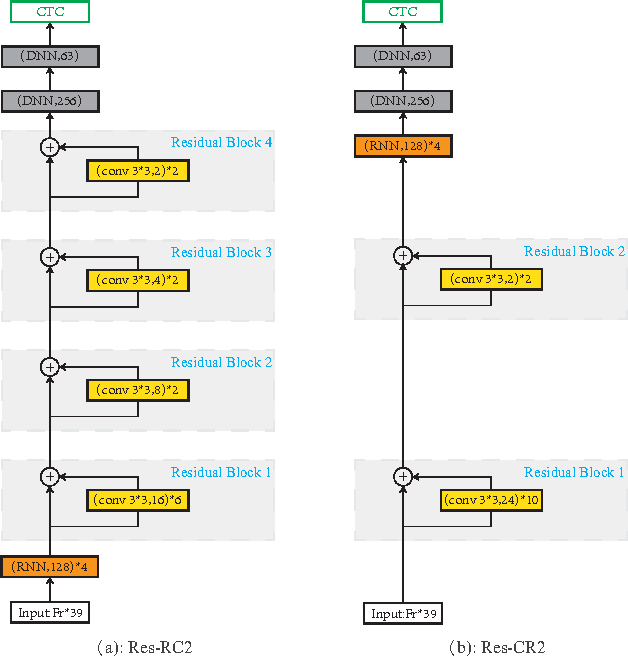 We introduce an innovative neural image perturbation approach, called Perturbations for Image Retrieval Error (PIRE), that is capable of blocking neural-feature-based CBIR. To our knowledge PIRE is the first approach to creating neural adversarial examples for CBIR. 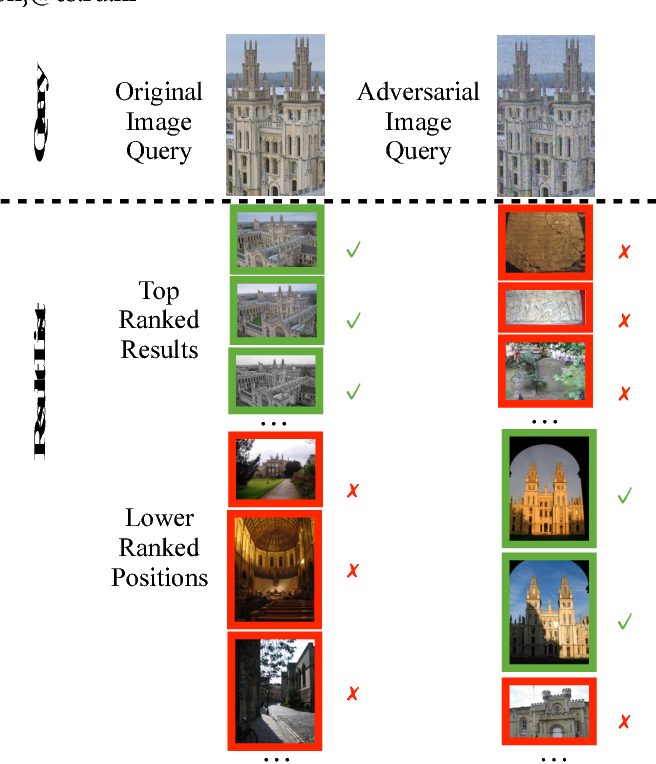 PIRE differs significantly from existing approaches that create images adversarial with respect to CNN classifiers because it is unsupervised, i.e., it needs no labeled data from the data set to which it is applied. 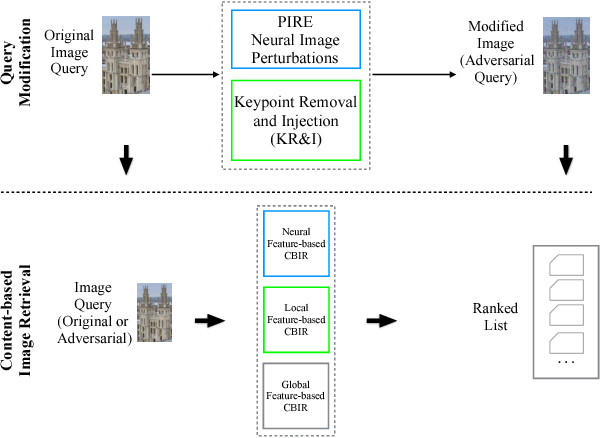 Our experimental analysis demonstrates the surprising effectiveness of PIRE in blocking CBIR, and also covers aspects of PIRE that must be taken into account in practical settings: saving images, image quality, image editing, and leaking adversarial queries into the background collection. Our experiments also compare PIRE (a neural approach) with existing keypoint removal and injection approaches (which modify local features). Finally, we discuss the challenges that face multimedia researchers in the future study of adversarial queries. 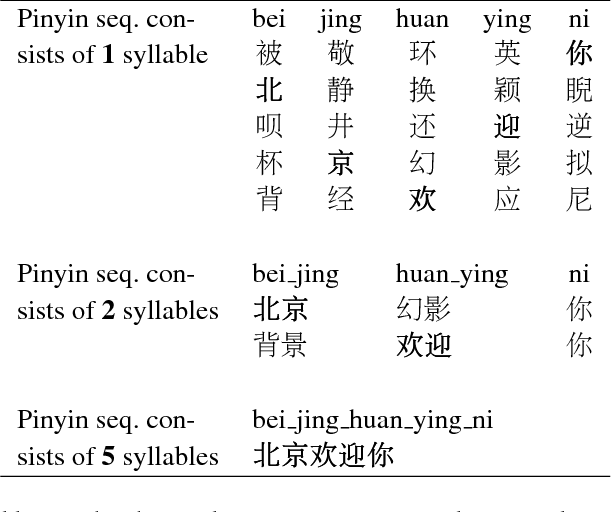 Pinyin-to-character (P2C) conversion is the core component of pinyin-based Chinese input method engine (IME). However, the conversion is seriously compromised by the ambiguities of Chinese characters corresponding to pinyin as well as the predefined fixed vocabularies. 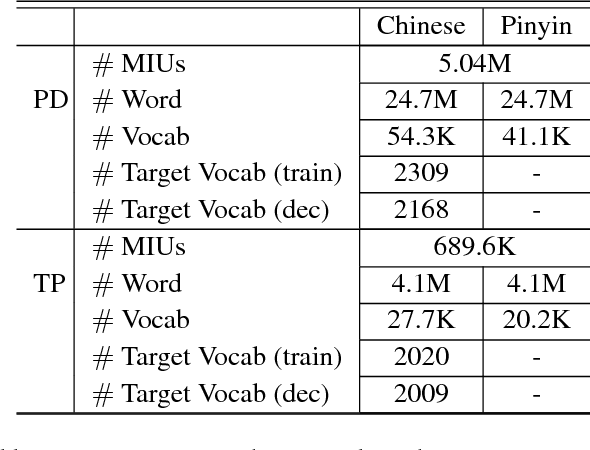 To alleviate such inconveniences, we propose a neural P2C conversion model augmented by a large online updating vocabulary with a target vocabulary sampling mechanism. 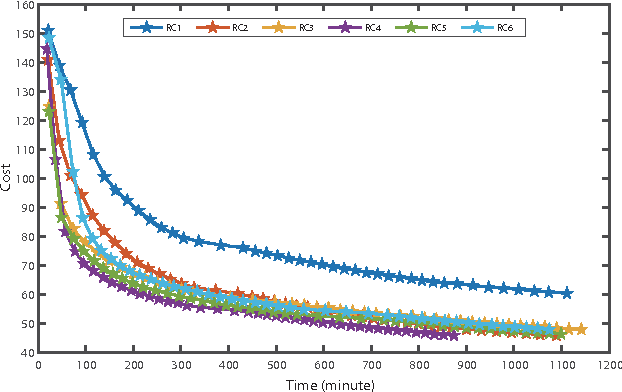 Our experiments show that the proposed approach reduces the decoding time on CPUs up to 50$\%$ on P2C tasks at the same or only negligible change in conversion accuracy, and the online updated vocabulary indeed helps our IME effectively follows user inputting behavior. Semantically understanding complex drivers' encountering behavior, wherein two or multiple vehicles are spatially close to each other, does potentially benefit autonomous car's decision-making design. 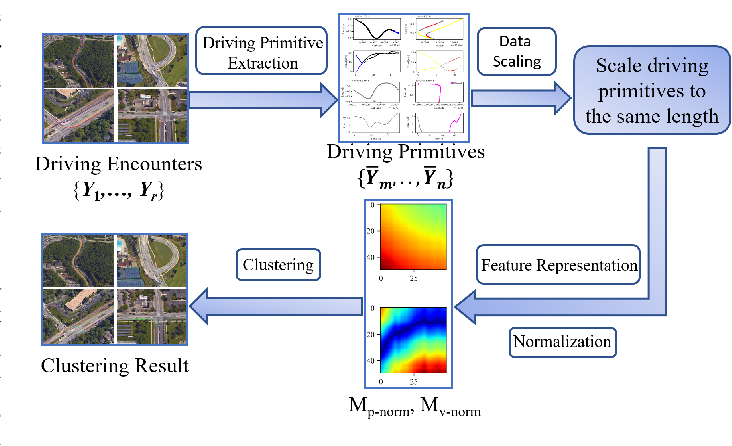 This paper presents a framework of analyzing various encountering behaviors through decomposing driving encounter data into small building blocks, called driving primitives, using nonparametric Bayesian learning (NPBL) approaches, which offers a flexible way to gain an insight into the complex driving encounters without any prerequisite knowledge. 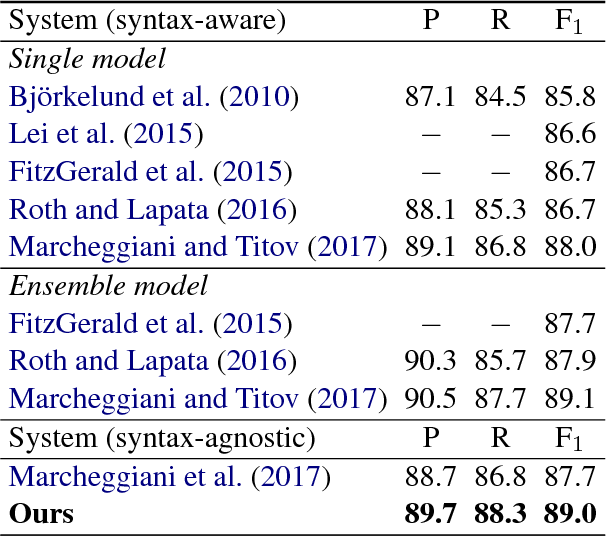 The effectiveness of our proposed primitive-based framework is validated based on 976 naturalistic driving encounters, from which more than 4000 driving primitives are learned using NPBL - a sticky HDP-HMM, combined a hidden Markov model (HMM) with a hierarchical Dirichlet process (HDP). After that, a dynamic time warping method integrated with k-means clustering is then developed to cluster all these extracted driving primitives into groups. 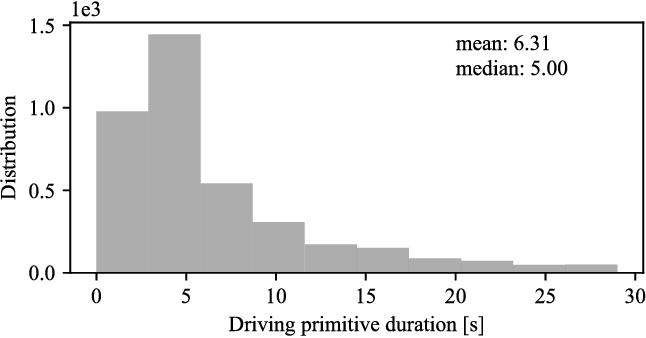 Experimental results find that there exist 20 kinds of driving primitives capable of representing the basic components of driving encounters in our database. This primitive-based analysis methodology potentially reveals underlying information of vehicle-vehicle encounters for self-driving applications. A multitude of publicly-available driving datasets and data platforms have been raised for autonomous vehicles (AV). However, the heterogeneities of databases in size, structure and driving context make existing datasets practically ineffective due to a lack of uniform frameworks and searchable indexes. 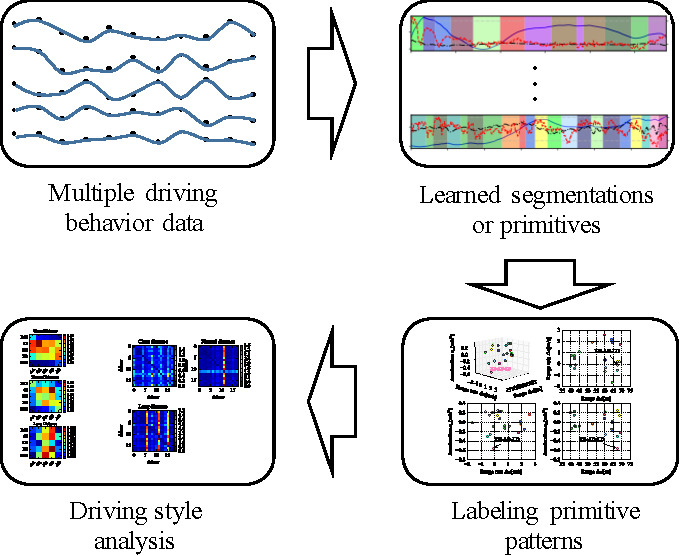 In order to overcome these limitations on existing public datasets, this paper proposes a data unification framework based on traffic primitives with ability to automatically unify and label heterogeneous traffic data. This is achieved by two steps: 1) Carefully arrange raw multidimensional time series driving data into a relational database and then 2) automatically extract labeled and indexed traffic primitives from traffic data through a Bayesian nonparametric learning method. Finally, we evaluate the effectiveness of our developed framework using the collected real vehicle data. Accurately predicting and inferring a driver's decision to brake is critical for designing warning systems and avoiding collisions. In this paper we focus on predicting a driver's intent to brake in car-following scenarios from a perception-decision-action perspective according to his/her driving history. 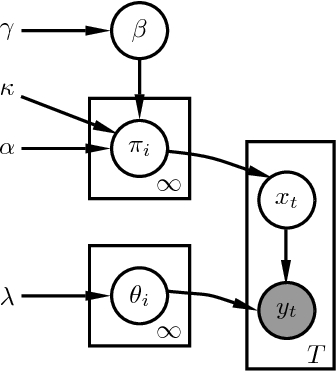 A learning-based inference method, using onboard data from CAN-Bus, radar and cameras as explanatory variables, is introduced to infer drivers' braking decisions by combining a Gaussian mixture model (GMM) with a hidden Markov model (HMM). 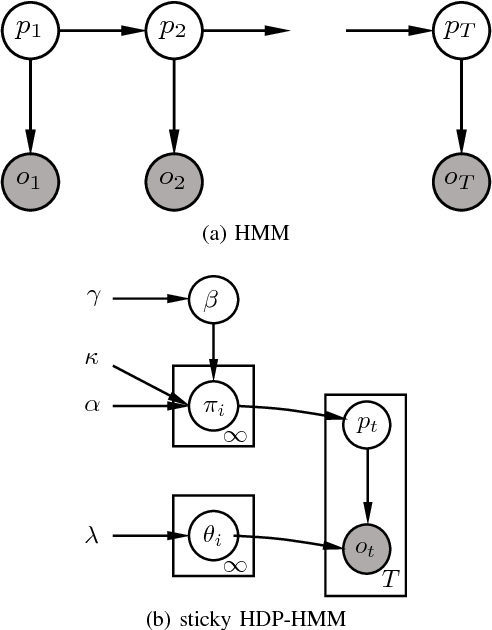 The GMM is used to model stochastic relationships among variables, while the HMM is applied to infer drivers' braking actions based on the GMM. Real-case driving data from 49 drivers (more than three years' driving data per driver on average) have been collected from the University of Michigan Safety Pilot Model Deployment database. 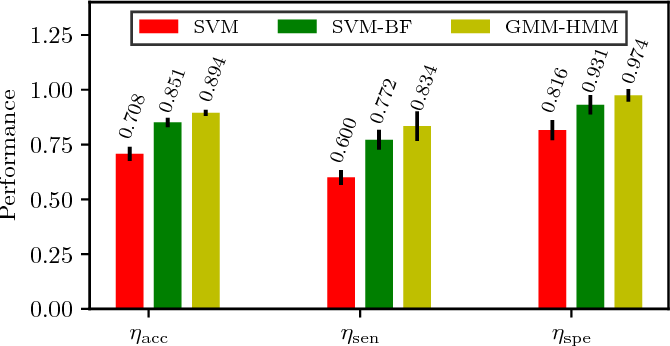 We compare the GMM-HMM method to a support vector machine (SVM) method and an SVM-Bayesian filtering method. The experimental results are evaluated by employing three performance metrics: accuracy, sensitivity, specificity. The comparison results show that the GMM-HMM obtains the best performance, with an accuracy of 90%, sensitivity of 84%, and specificity of 97%. Thus, we believe that this method has great potential for real-world active safety systems. Analysis and recognition of driving styles are profoundly important to intelligent transportation and vehicle calibration. 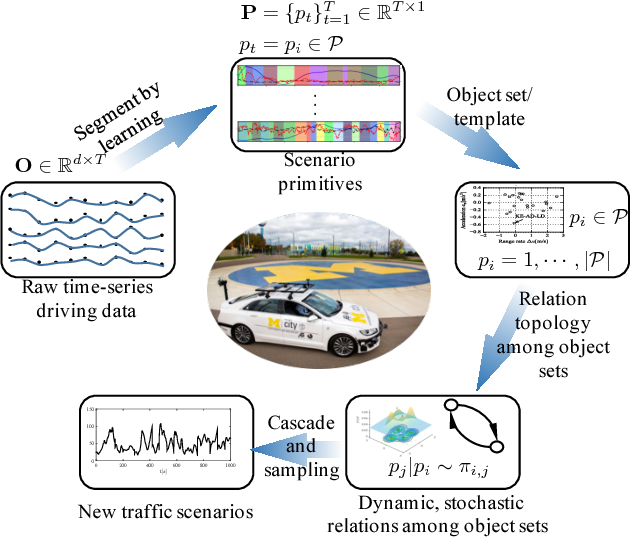 This paper presents a novel driving style analysis framework using the primitive driving patterns learned from naturalistic driving data. 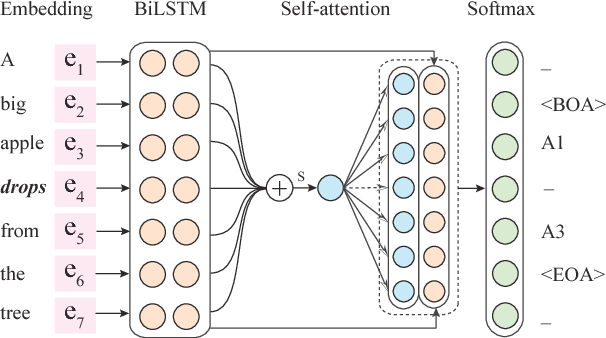 In order to achieve this, first, a Bayesian nonparametric learning method based on a hidden semi-Markov model (HSMM) is introduced to extract primitive driving patterns from time series driving data without prior knowledge of the number of these patterns. In the Bayesian nonparametric approach, we utilize a hierarchical Dirichlet process (HDP) instead of learning the unknown number of smooth dynamical modes of HSMM, thus generating the primitive driving patterns. 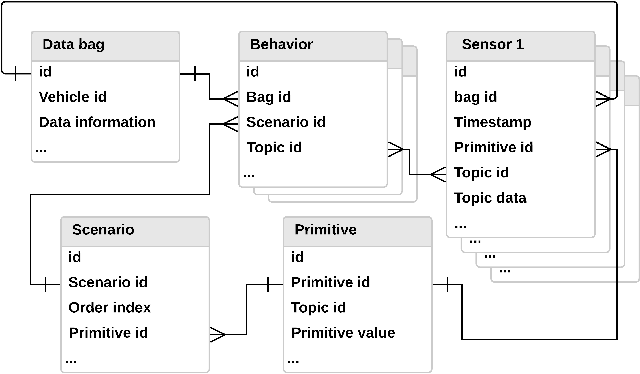 Each primitive pattern is clustered and then labeled using behavioral semantics according to drivers' physical and psychological perception thresholds. For each driver, 75 primitive driving patterns in car-following scenarios are learned and semantically labeled. 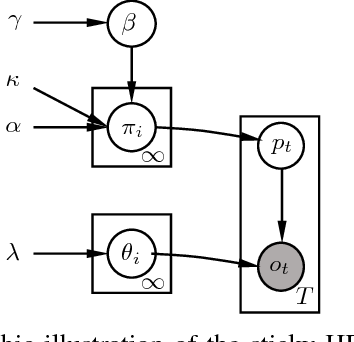 In order to show the HDP-HSMM's utility to learn primitive driving patterns, other two Bayesian nonparametric approaches, HDP-HMM and sticky HDP-HMM, are compared. The naturalistic driving data of 18 drivers were collected from the University of Michigan Safety Pilot Model Deployment (SPDM) database. 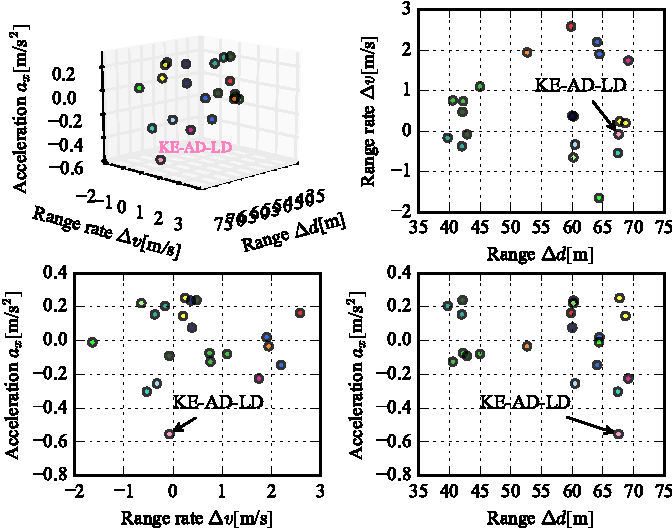 The individual driving styles are discussed according to distribution characteristics of the learned primitive driving patterns and also the difference in driving styles among drivers are evaluated using the Kullback-Leibler divergence. 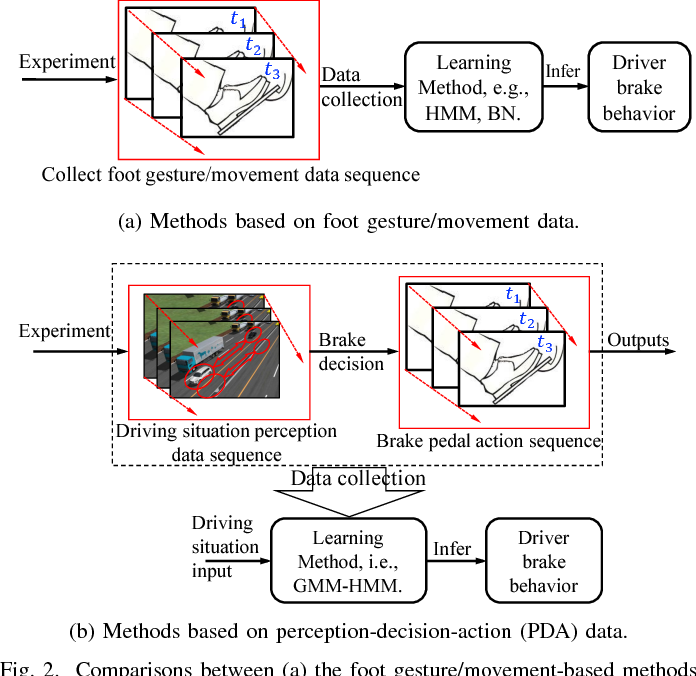 The experiment results demonstrate that the proposed primitive pattern-based method can allow one to semantically understand driver behaviors and driving styles. Big data has shown its uniquely powerful ability to reveal, model, and understand driver behaviors. The amount of data affects the experiment cost and conclusions in the analysis. Insufficient data may lead to inaccurate models while excessive data waste resources. For projects that cost millions of dollars, it is critical to determine the right amount of data needed. However, how to decide the appropriate amount has not been fully studied in the realm of driver behaviors. 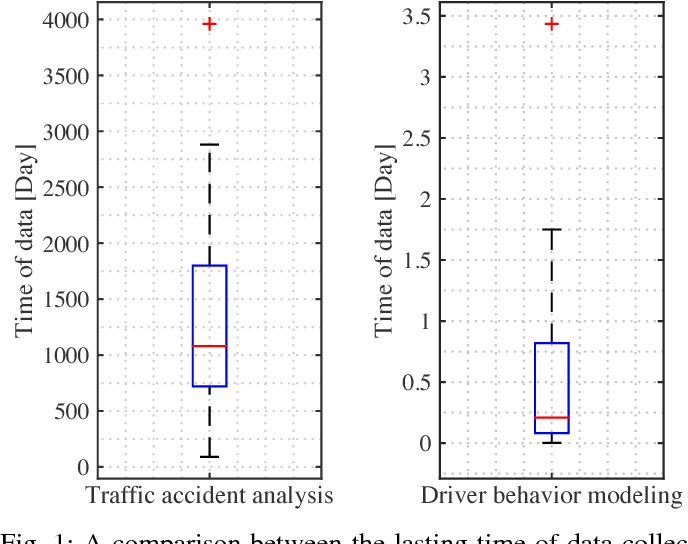 This paper systematically investigates this issue to estimate how much naturalistic driving data (NDD) is needed for understanding driver behaviors from a statistical point of view. 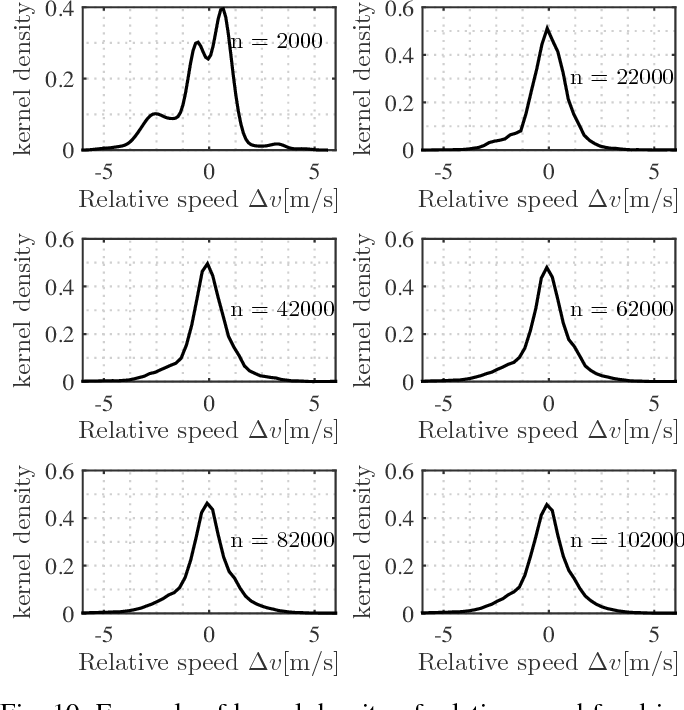 A general assessment method is proposed using a Gaussian kernel density estimation to catch the underlying characteristics of driver behaviors. We then apply the Kullback-Liebler divergence method to measure the similarity between density functions with differing amounts of NDD. A max-minimum approach is used to compute the appropriate amount of NDD. 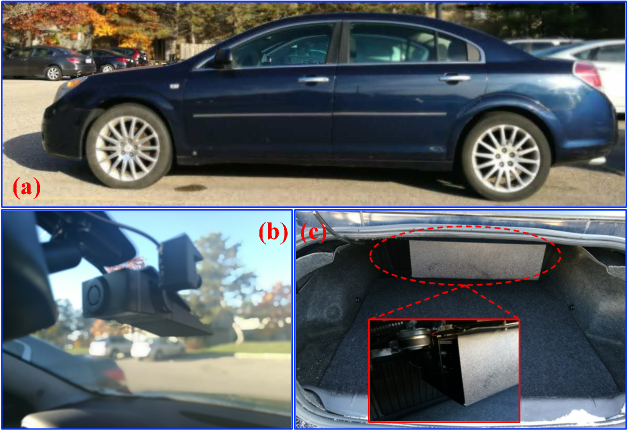 To validate our proposed method, we investigated the car-following case using NDD collected from the University of Michigan Safety Pilot Model Deployment (SPMD) program. 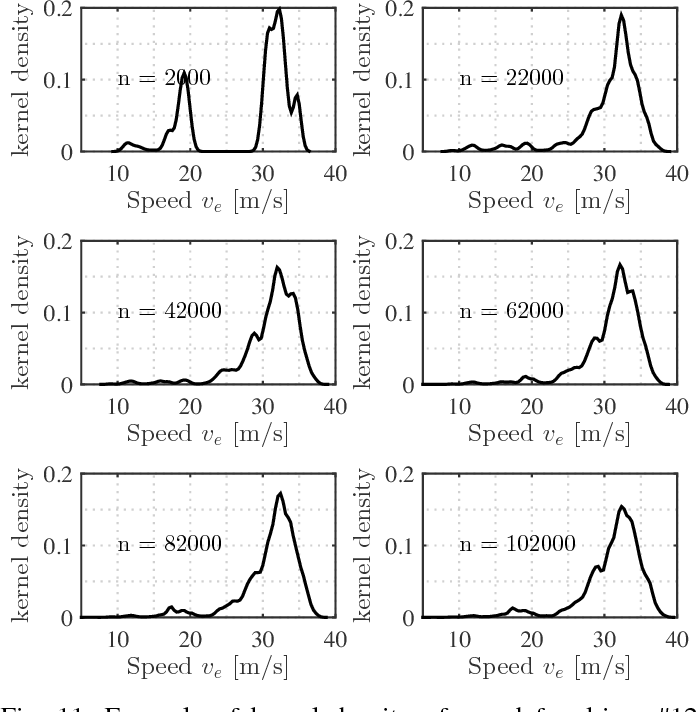 We demonstrate that from a statistical perspective, the proposed approach can provide an appropriate amount of NDD capable of capturing most features of the normal car-following behavior, which is consistent with the experiment settings in many literatures.